Gift cards are here to stay! More than 80% of consumers have received a Gift card in the past 12 months. Gift cards make turning a customer to a valued customer easy. Gift cards give you a reason to talk to your customers and keep them coming in time and time again. 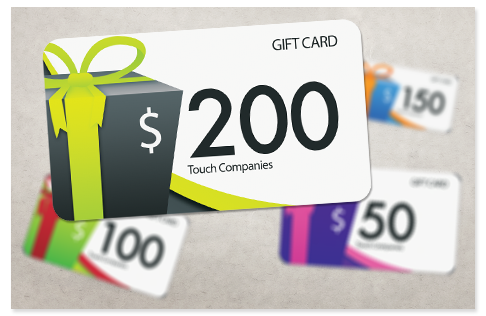 Gift cards will help you increase revenue, they generate 2 to 10 times more sales than paper certificate programs and they also reduce fraud! Gift cards are only valid when activated through your terminal. That’s what you can tell your valued customers about plastic gift cards vs. paper gift certificates when you start your own gift card program! Gift cards help increase revenue in YOUR BUSINESS! 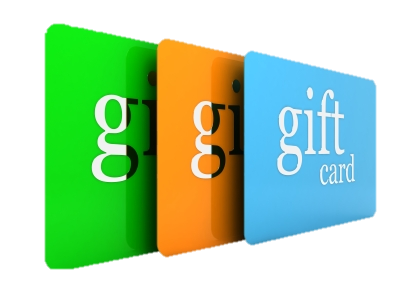 Gift cards increase revenue and generate 2 to 10 times more sales than paper certificate programs. Purchases made with a gift card are 20 to 50% higher than the average ticket. Build your brand. The customer is reminded of your store every time they open their wallet and see your card. Gift cards undoubtedly bring in new customers, new store traffic, increased revenue and incremental sales. Cards can be reloaded with value, creating a loyal customer and ensuring repeat business. Customers like plastic; switching from a paper-based to a card-based gift program results in higher customer participation. Gift cards Keep Money in YOUR Store! Gift cards can be used as a store credit and refund alternative.